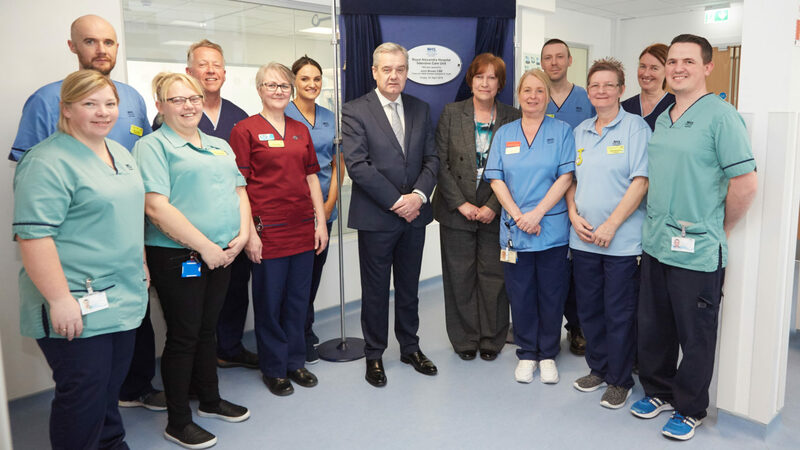 A new £5 million intensive care unit (ICU) has officially opened at a hospital in Renfrewshire. Patients will now be cared for at NHS Greater Glasgow and Clyde (NHSGGC)’s new state-of-the-art facility at the Royal Alexandra Hospital in Paisley. Investment for the unit, which has nine bed spaces, was approved in 2016 with work beginning a year later. John Brown, NHSGGC chair, unveiled a special dedicated plaque at the ICU on Monday. He said: “I was delighted to have been asked to officially open this new Intensive Care Unit. On February 19 this year the first patient was treated in the new unit. The previous space opened as a high dependency unit in 1986 and became an ICU a decade later.